The basic element of the expert ceiling track system is a high-quality-drawn aluminium rail with 8 integrated T-grooves, multifunctional and with high carrying capacity. 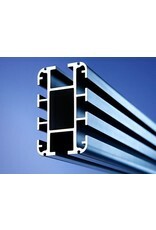 Its overall construction guarantees a very high bending strength and great torsional strength (stiffness). Available surfaces bright drawn anodized in its natural colour or in an applied colour. The high static stability in large range of span and support widths (see tables of loads). Makes fewer points of support necessary than are usual with ordinary systems. This means in practise: easy fitting to all types and shapes of ceilings, supporting beams, I-beams, runners, rails, etc. and easy assembly. For studios that do not have such supporting structures available, free-standing framing can be built with this system. The great span of profile often provides the only solution for a daylight studio. 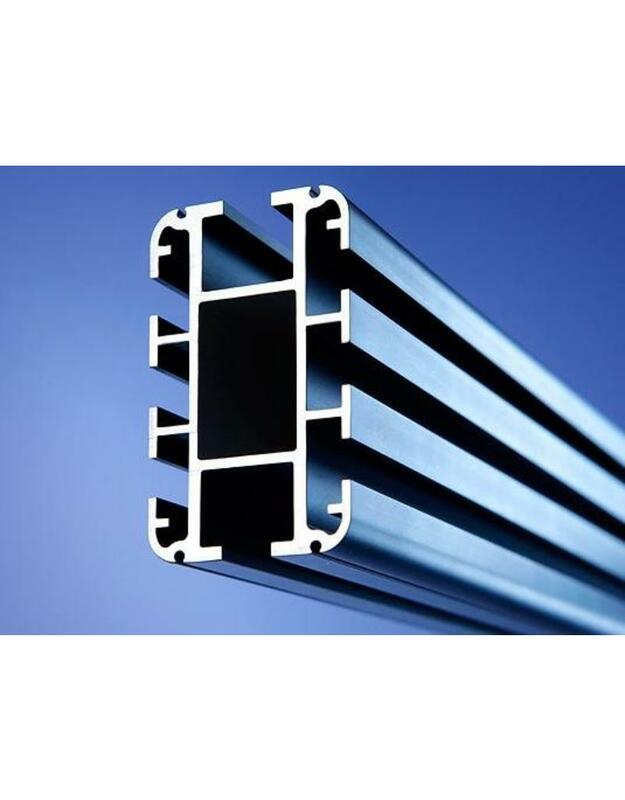 The elegantly formed, rounded aluminium profile, with its right angled vertical overall contour, has a T-groove along each upper and lower surface, and 3 T-groove on each of the 2 sides. The many grooves provide many possible uses. The deadweight G of 4,7 kg/m has been taken into consideration in the table. Permitted load with a deflection of L/200. These values apply to application as bearer on two supports. NB: Transport of this product will take place on the basis of subsequent calculation!